Charges against Empire actor Jussie Smollett were mysteriously dropped on Tuesday, 26 March. 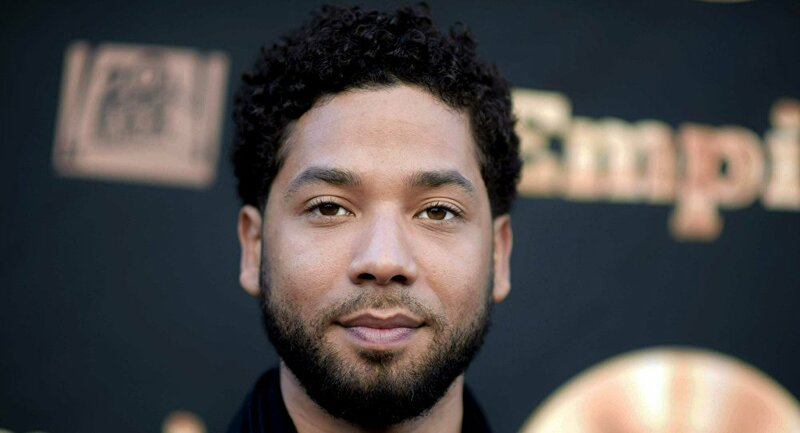 Smollett claimed on 29 January he had been attacked in downtown Chicago in a racist and homophobic attack. He was soon charged by prosecutors who said he falsely reported a crime and had actually hired two men to carry out the attack. To be clear, #JussieSmollett has NOT made a plea deal. There is no arrangement to pay restitution or doing community service. Nothing. Case over. Done. ​Police say Smollett paid two actors to strike him, pour a chemical substance on him, hurl slurs at him and loop a rope around his neck in Chicago's Streeterville neighborhood on 29 January. ​For this, police claim he paid the men $3,500; they also said he inflicted most of his injuries himself. It was widely reported at the time that the two men involved were Olabinjo Osundairo and Abimbola Osundairo, brothers who were friends of Smollett. "My clients have tremendous regret over their involvement in this situation, and they understand how it has impacted people across the nation, particularly minority communities and especially those who have been victims of hate crimes themselves," said the brothers' attorney, Gloria Schmidt, at the time. ​But Smollett's attorneys Tina Glandian and Patricia Brown Holmes said on Tuesday "his record has been wiped clean of the filing of this tragic complaint against him." Smollett appeared at an impromptu press conference on Tuesday and thanked all those who had "stood by him". "I would not be my mother's son if I had done anything I was accused of," Smollett said. His lawyer, Ms Brown Holmes, said the two brothers were on record as having said they attacked him but she said she did not want to "try them in the press". Cook County prosecutors have not commented on their reasons for dropping the charges, a decision which came out of the blue. Last month it was reported that Smollett, who is gay, made up the allegations in a bid to get publicity because he thought it would boost his career and he was unhappy with his pay on the show, which is produced by Rupert Murdoch's Fox channel. ​"Jussie was attacked by two people he was unable to identify on 29 Januar. He was a victim who was vilified and made to appear as a perpetrator as a result of false and inappropriate remarks made to the public causing an inappropriate rush to judgement," said his attorneys in a statement released on Tuesday. "Jussie and many others were hurt by these unfair and unwarranted actions. This entire situation is a reminder that there should never be an attempt to prove a case in the court of public opinion. That is wrong. It is a reminder that a victim, in this case Jussie, deserves dignity and respect. Dismissal of charges against the victim in this case was the only just result," they added. ​Smollett, they said, was "relieved to have this situation behind him and is very much looking forward to getting back to focusing on his family, friends and career."